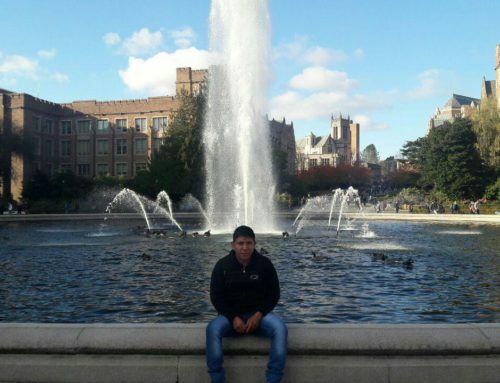 News recap: Court affirms that the state enacted genocide, but finds Rodríguez Sánchez not guilty in a split decision; Constitutional Court upholds temporary suspension of Escoal mine and calls on the State to consult impacted Xinka communities. This and more in this month’s solidarity update. On September 26, in a split, 2-1 decision, Guatemala's high risk court found José Mauricio Rodríguez Sánchez, former Head of Military Intelligence under Ríos Montt, not guilty of genocide and crimes against humanity. 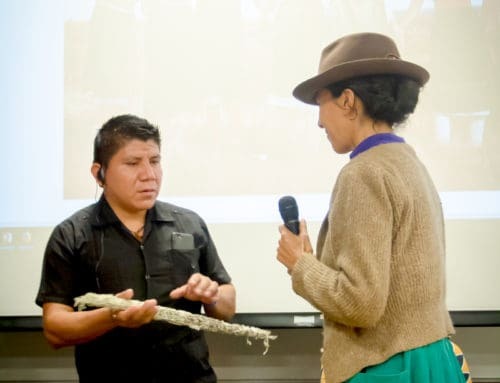 The panel of three judges ruled unanimously that the evidence presented, which included testimony from over a hundred Maya Ixil survivors, thoroughly proves that Guatemala committed crimes against humanity and genocide against the Ixil people in 1982-1983. In their acknowledgement, the court specifically named Ríos Montt and his high command in what was essentially a postmortem conviction of the former dictator. On Ródriguez Sánchez's responsibility, however, the court was split, with Judge Sara Yoc expressing her fierce dissent, asking, "Who determined [the Ixil people] were the enemy? Who carried out the intelligence? He did!" The ruling marks the second time in five years that a national court has formally recognized that the state enacted genocide against the Ixil people. In 2013, ex-dictator Efraín Ríos Montt, originally tried alongside Rodríguez Sánchez and now deceased, was found guilty of genocide against the Ixil people in a world historic ruling -- the first time a court in the Americas acknowledged state-sponsored genocide against indigenous people and the first time in the world that a former head of state was tried for genocide in his home country. The case was later sent to retrial and divided into two cases. 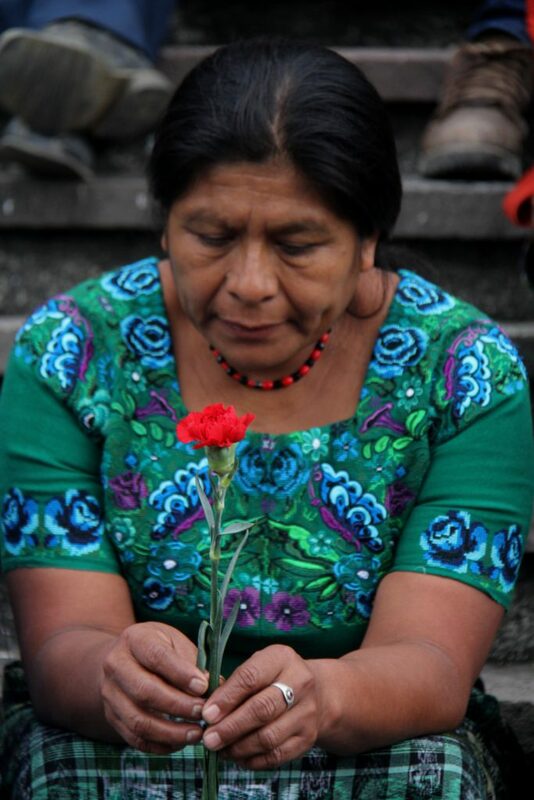 While both cases focused on massacres, sexual violence, and forced disappearances carried out against Ixil communities, the case has been broadly supported by other survivors of genocide from across Guatemala, including 22 AJR member communities, representing five departments and seven Mayan ethnic groups, who collectively brought the case forward. On Thursday, AJR member Julia Cortez from Rabinal said of the verdict: "What was proven last night, once again, before all of our loved ones and the entire world, is that, "Yes, it was genocide", Sí hubo genocidio, that genocide and crimes against humanity took place. But we are left with the question, why, if they have acknowledged that genocide happened, why is no one responsible? We gave the public prosecutor the job of investigating and finding people responsible, and now we are left with no one responsible. Yes, it was Ríos Montt but there were others also. And where are they? What I can say is that, as the AJR, we will not rest until justice is done." Read our latest blog highlighting key takeaways from the verdict and why we continue to stand with the AJR in their ongoing search for justice. 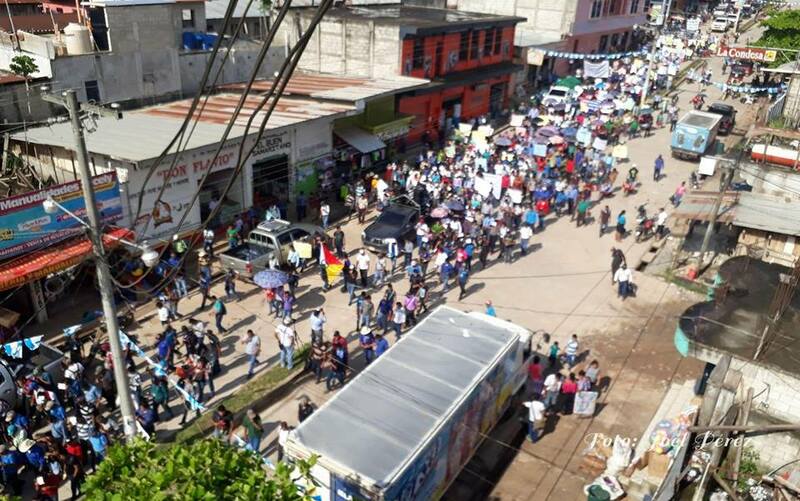 Guatemalan communities organized massive peaceful demonstrations this month in response to a political crisis that has been unfolding since President Jimmy Morales announced in August he would not renew the mandate of the UN-backed International Commission against Impunity in Guatemala (CICIG). Morales later declared CICIG commissioner Iván Velásquez persona non grata and denied him reentry into the country, acting in bold defiance of a 2017 Constitutional Court ruling. Meanwhile, his government has attempted to pass reforms that would effectively allow him and his allies to target their political foes and protect themselves from impeachment. For more information and analysis of the crisis, read our recent timeline of events. These sweeping changes have taken place in a context of heightened re-militarization, raising concerns about a potential coup and the suspension of constitutional guarantees. 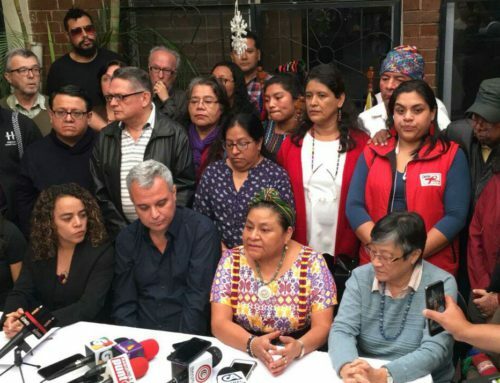 In a press conference, a network of survivors of the Internal Armed Conflict pointed out that the "menacing role that the Army is currently playing violates the commitments made in the Peace Accords,” and called on all victims of the conflict to organize against the government’s abuses. 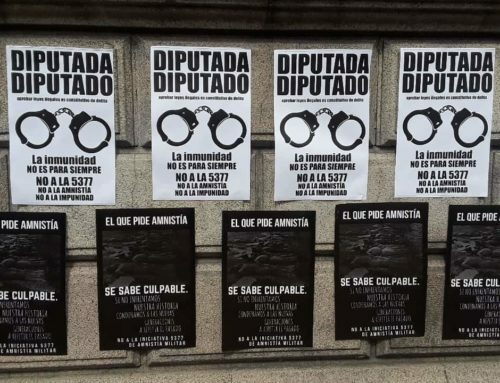 On September 20, tens of thousands participated in a national strike denouncing the administration's corruption and calling for Morales to resign. Stay tuned for updates in the coming weeks. For the most timely updates, follow us on Twitter. 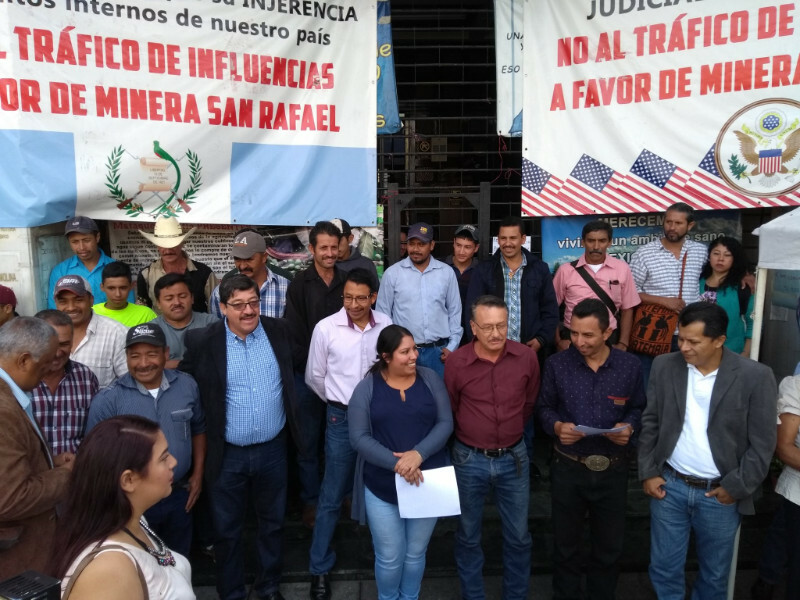 On September 3, the Guatemalan Constitutional Court ruled that operations at Tahoe Resources' Escobal silver mine will remain suspended until the Ministry of Energy and Mines consults with the indigenous Xinka population in four municipalities, including San Rafael las Flores, where the mine is located. This historic decision affirms a lower court decision from July 2017 to temporarily suspend the company's license, citing discrimination and failure to consult with Xinka people. In a statement released on September 6, the Xinka People's Parliament and the Peaceful Resistance of Santa Rosa, Jalapa, and Jutiapa expressed disappointment that the ruling did not satisfy their core demand for the permanent closure of the mine, while also celebrating the far reaching impacts of the decision. 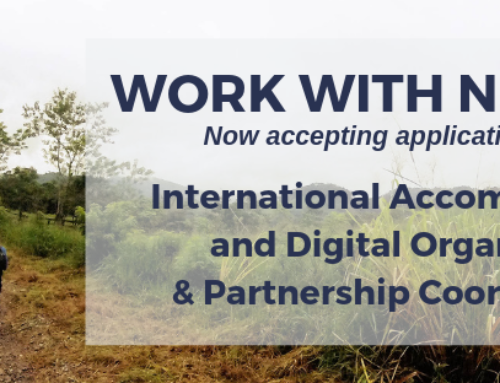 The Guatemalan government and transnational corporations have long fought against the right to consultation, and this is the first time there is real potential for communities to be the architects of an inclusive and judicially-ordered consultation. How the Constitutional Court’s decision is implemented therefore has the potential to set a national precedent for how state-recognized consultations are conducted. As a result, Xinka communities are the first communities in Guatemala to face the critical task of ensuring that a state-mandated consultation is meaningful and community-driven. Read the NISGUA press statement in English and the Xinka People's Parliament press statement in Spanish here. We agree that indigenous leadership and solutions are key to solving the “interlinked economic, democratic and climate crises currently threatening humanity”. Here is some of our inspiration from the week! The Intertribal ceremony and teach-in at the West Berkeley Shellmound, the ancient burial/ceremonial and village site of the Lisjan/Ohlone people, in the wake of the recent victory to protect the site. Ohlone leader Corrina Gould lifting up indigenous women’s leadership as a solution to global climate capitalism. 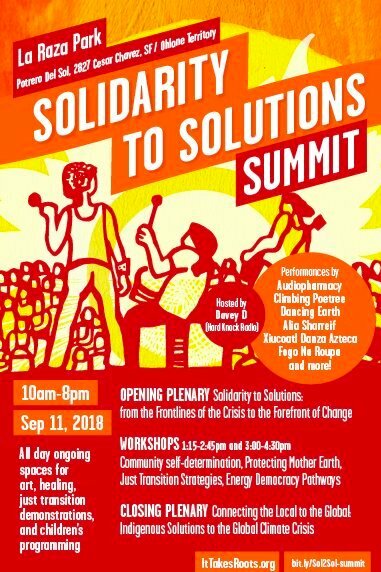 This month, NISGUA's northern office team participated in the Solidarity to Solutions Summit in San Francisco. There, Cindy Weisner of Grassroots Global Justice Alliance made a call for internationalism in our social and environmental justice movements: "Grassroots internationalism understands that we have differences, that we organize in different contexts, but we have common enemies: capitalism, patriarchy, heterosexism, racism, all -isms are the root cause of oppression." Learn more about the summit and the organizations that convened it.